Objective. This technical regulation aims to define the requirements and parameters for the Marketing of Used Tires, of the tariff classification S.A. 4012.20.00, with hoops and without hoops, through the establishment of the requirements, conditions and controls for its commercialization in the local market; in order to prevent and minimize risks to human life and integrity, and to avoid practices that may mislead or deceive consumers. Its compliance will be mandatory for any individual or company that sells used tires throughout the national territory whether local or imported. Ministerio de Industria, Comercio y Mypimes (MICM). Torre MICM. Ave. 27 de febrero No. 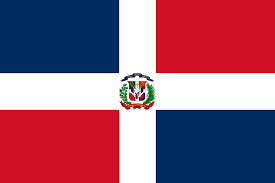 306, Bella Vista, Santo Domingo, República Dominicana. Persona Responsable: Miguelina Estevez. Teléfono: (809) 567­7192 Ext. 6288 y 6055. Correo electrónico: miguelina.estevez@mic.gob.do.